The International Court of Justice at the United Nations has issued an “order” Tuesday demanding that the United States lift sanctions against Iran re-imposed after the Trump administration decided to pull out of a nuclear proliferation treaty inked with Iran during the Obama years. Iran apparently requested that the ICJ force the United States to rescind measures banning the sale and transport of certain “humanitarian goods” to the region, including medical supplies, emergency food, and mechanical and airplane parts. The Hauge, agreeing with the Iranians, issued the “blow” to the Trump White House Tuesday. “The court finds unanimously that … the United States of America … shall remove by means of its choosing any impediments arising from the measures announced on 8 May to the free exportation to Iran of medicines and medical devices, food, and agricultural commodities” chief judge Abdulqawi Ahmed Yusuf said, according to the Times of India. 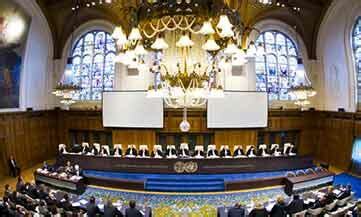 The ICJ based its ruling on a 1955 agreement between Iran and the United States to provide certain necessary items as part of an international aid deal. Neither country recognizes the Eisenhower-era treaty; the two countries dropped diplomatic ties in the Carter administration when Iran took a number of American diplomats hostage. *** The United States response to this order? WASHINGTON (AP) — In response to a U.N. court order that the U.S. lift sanctions on Iran, the Trump administration said Wednesday it was terminating a decades-old treaty affirming friendly relations between the two countries. The largely symbolic gesture highlights deteriorating relations between Washington and Tehran. 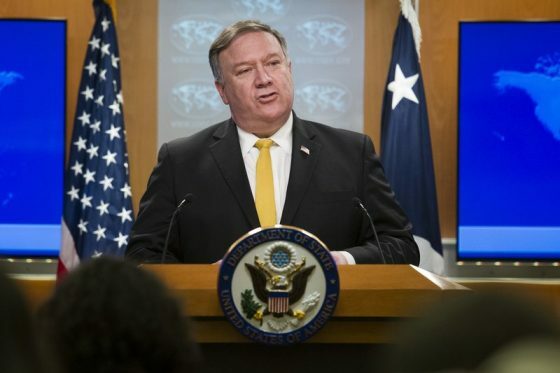 Secretary of State Mike Pompeo said withdrawing from the 1955 Treaty of Amity was long overdue and followed Iran “groundlessly” bringing a complaint with the International Court of Justice challenging U.S. sanctions on the basis that they were a violation of the pact. “The United States will not sit idly by as baseless politicized claims are brought against us,” Bolton said. He cited a case brought to the court by the “so-called state of Palestine” challenging the move of the U.S. Embassy in Israel from Tel Aviv to Jerusalem as the main reason for withdrawing. Bolton, who last month unleashed a torrent of criticism against the International Criminal Court, noted that previous Republican administrations had pulled out of various international agreements and bodies over “politicized cases.” He said the administration would review all accords that might subject the U.S. to prosecution by international courts or panels. Earlier, Pompeo denounced the Iranian case before the U.N. court as “meritless” and said the Treaty of Amity was meaningless and absurd. The treaty survived the 1979 overthrow of the Shah in Iran’s Islamic revolution and the subsequent hostage crisis that crippled American-Iranian relations for decades. Pompeo said the ruling was a “useful point for us to demonstrate the absolute absurdity” of the treaty. The ruling said Washington must “remove, by means of its choosing, any impediments arising from” the re-imposition of sanctions to the export to Iran of medicine and medical devices, food and agricultural commodities and spare parts and equipment necessary to ensure the safety of civil aviation. It said the exceptions mentioned by Pompeo “are not adequate to address fully the humanitarian and safety concerns” raised by Iran.